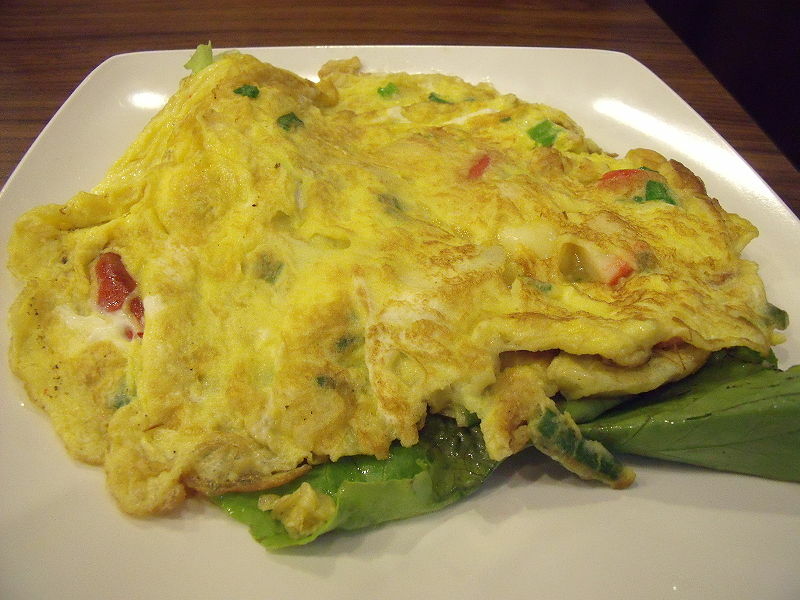 What is the difference between scrambled egg and omelette? 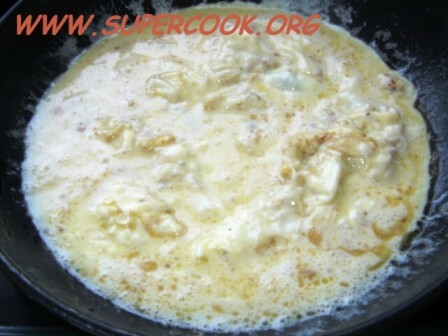 - Both are cooked whisked eggs. 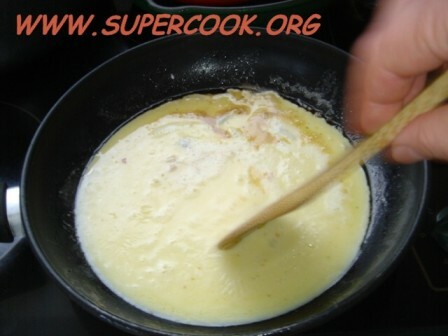 the scrambled eggs are cooked to be loose and soft, where an omelette is formed into the shape of the skillet and often has a filling. For omelettes or scrambled eggs use 2-3 large eggs per person, the fresher the eggs the better, but up to two weeks old is fine. 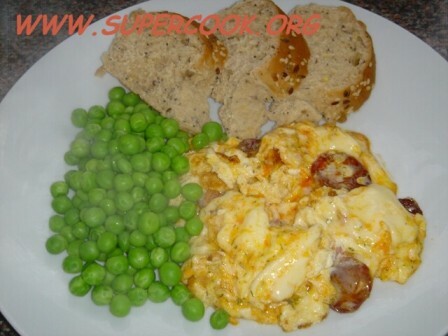 For the scrambled eggs - take a small, heavy-based saucepan and place it over a medium heat – this is really the only rule; if the heat is too high, the eggs will become dry and flaky. 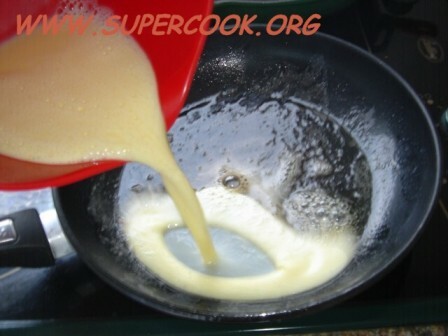 Add half the butter to the pan and swirl it around so that the base and about 1 inch (2.5 cm) of the sides of the pan are moistened with it. For the omelette - turn the heat up to its highest setting. Then when the butter is foaming, pour the eggs into the pan, tilting it to and fro to spread the eggs evenly over the base. Leave it on the heat without moving it for a count of five. After this time a bubbly frill will appear round the edge. Now you can tilt the pan to 45 degrees and, using a wooden spoon or tablespoon, draw the edge of the omelette into the centre. 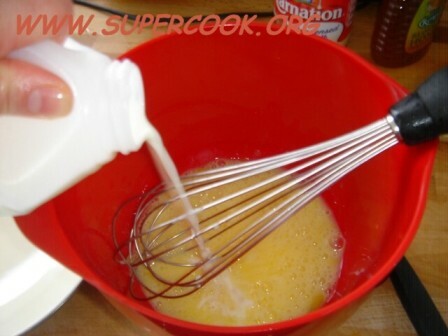 The liquid egg will flow into the space, filling it. Now tip the pan the other way and do the same thing. Keep tilting it backwards and forwards, pulling the edges so that the egg can travel into the space left – all this will only take half a minute.